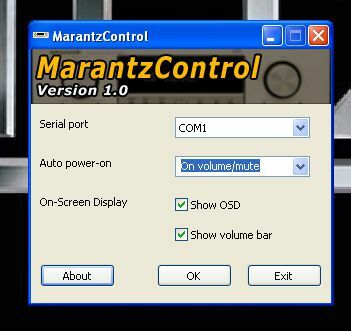 MarantzControl is a tool to control your Marantz surround receiver directly from your PC. You can control it from both your keyboard and the commandline, both at the same time! 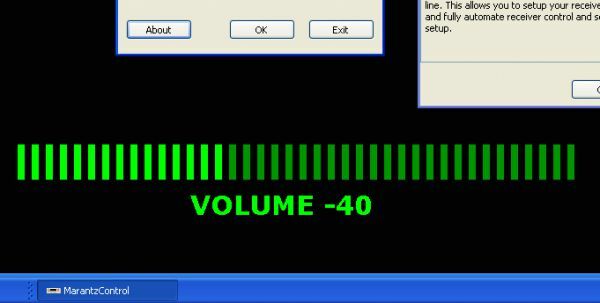 The user interface allows you to control various parameters of your receiver, such as volume, mute and the input channel. Your receiver can also switched on and off through the user interface. An On Screen Display (which also can be switched off) shows the current state of your receiver. The command line interface allows you to control your reveiver from the command line. This allows you to fully integrate your receiver in your HTPC setup. MarantzControl also offers an auto-on feature. 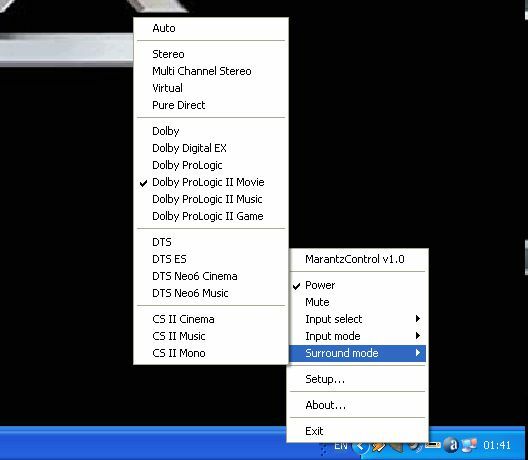 This feature turns automatically your receiver on when your PC starts or (if desired) if a control key (volume/mute) is hit on your keyboard. Is this tool also working correctly with YOUR receiver? Please let me know!